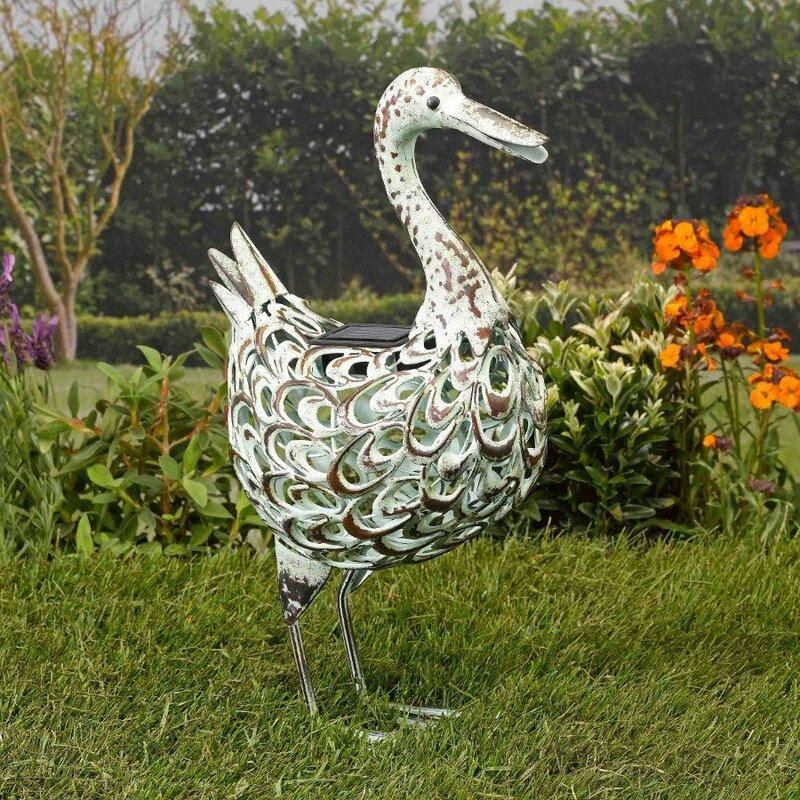 Make a statement in your garden with this charming ornamental scroll-effect metal Duck, which is solar powered and handmade by carefully selected and skilled artisans. 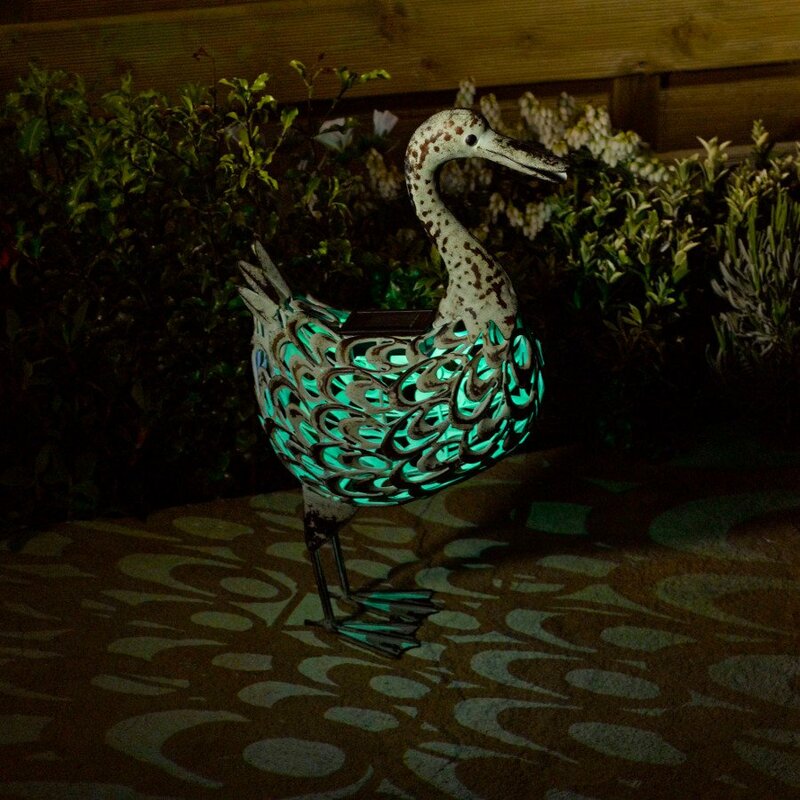 It is perfect for patios, lawns and table tops, creating a decorative ornament by day and a beautiful light by night that will cast stunning silhouettes across your garden. It features an integrated solar unit with 1 white and 1 colour changing LED and a switch allowing you to change between the 2 functions. It will charge in direct sunlight and automatically turn on in the evening. H: 44cm x W: 27cm x D: 13cm. 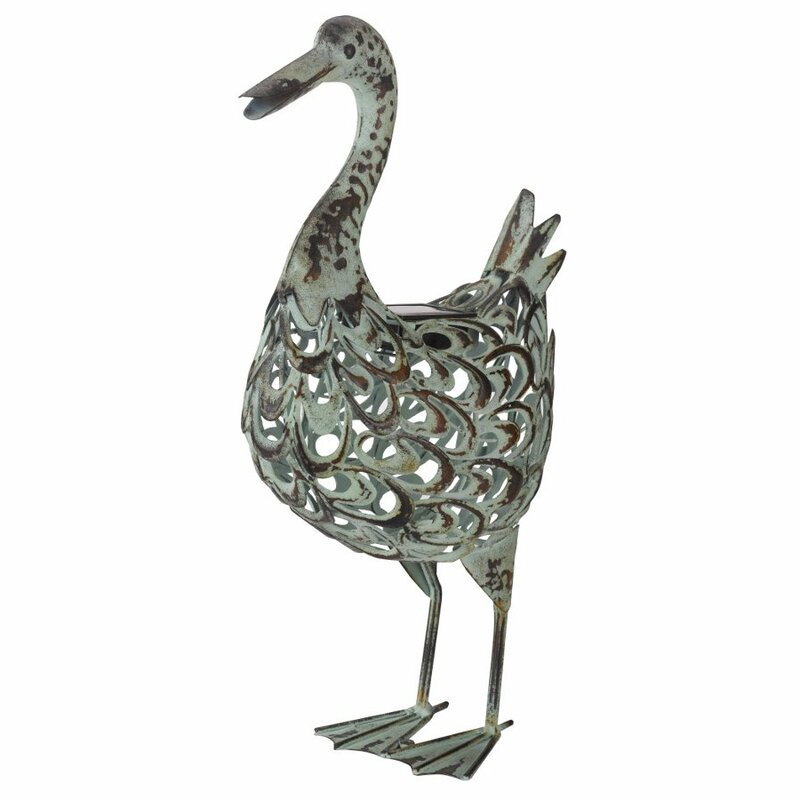 The Solar Powered Metal Silhouette Duck Light product ethics are indicated below. To learn more about these product ethics and to see related products, follow the links below. The solar powered ornamental duck is lovely. 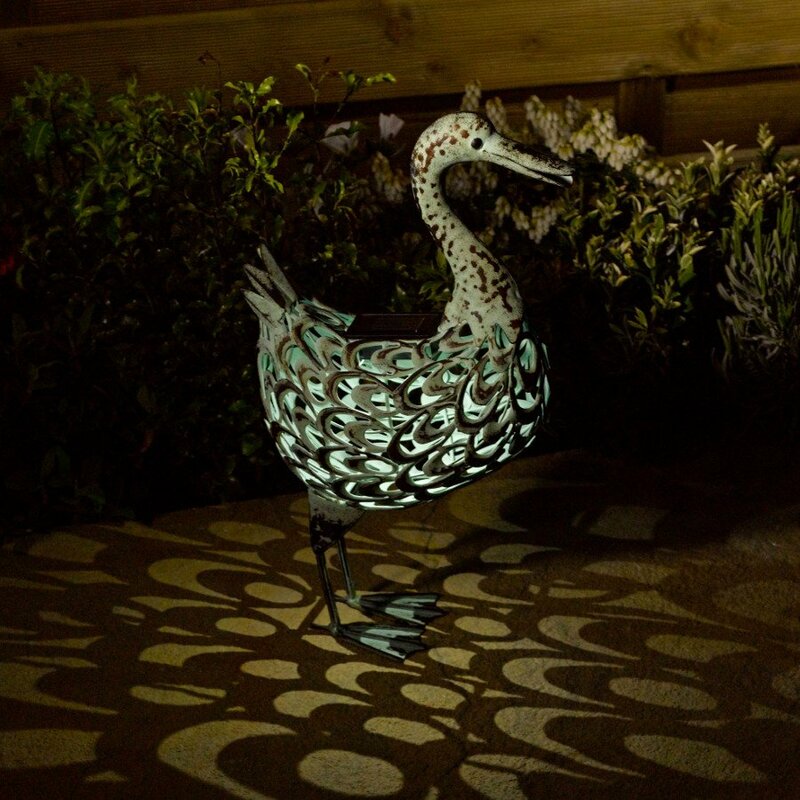 There are currently no questions to display about Solar Powered Metal Silhouette Duck Light. Smart Garden are a UK based company that specialise in creating high quality solar powered garden products, to harness the power of the sun. The innovative collection of solar products ranges from the traditional and classic to colourful and contemporary, so you are sure to find something to suit your garden. Smart Garden believe strongly in the environmental benefits of solar power, which is why all their products incorporate the use of solar, meaning there are minimal operational costs involved in any product. 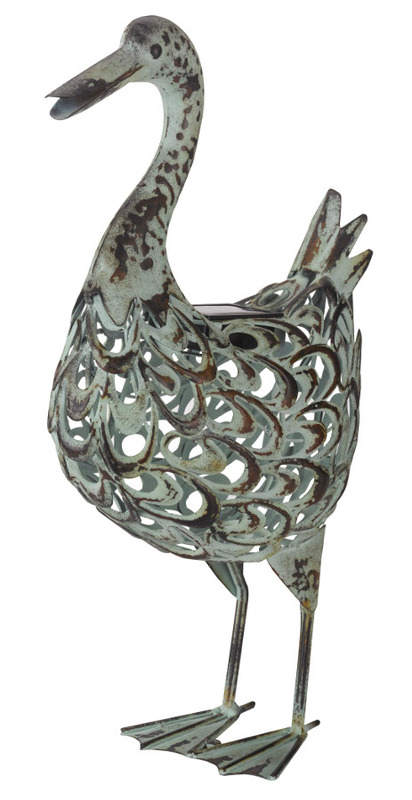 All their products are quick and easy to install, and can be moved around the garden with ease.